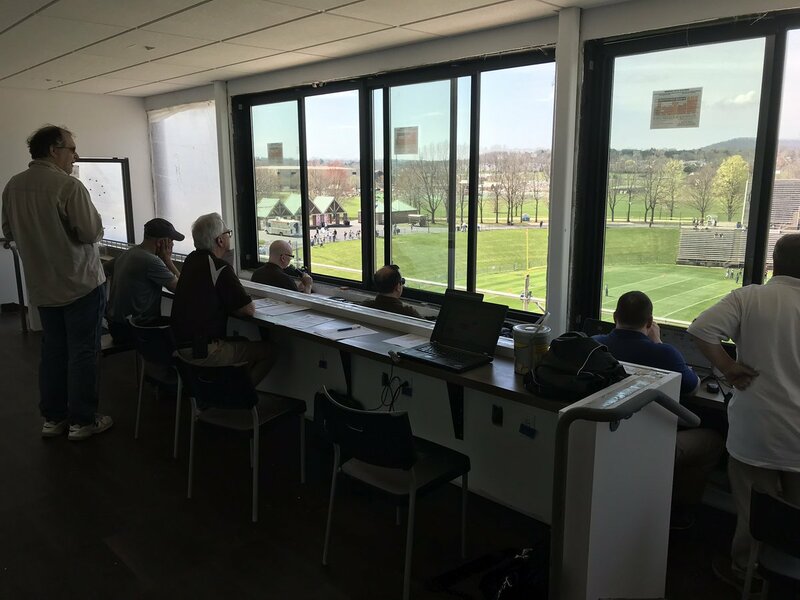 This Lehigh football offseason, the athletics department made some changes to Murray Goodman Stadium, the home of Mountain Hawk football, moving the press area from the east-facing stands to the west-facing stands. It meant that the familiar perspective on the Lehigh spring football game was switched, facing the bright, sunny, but damp field from the opposite side. 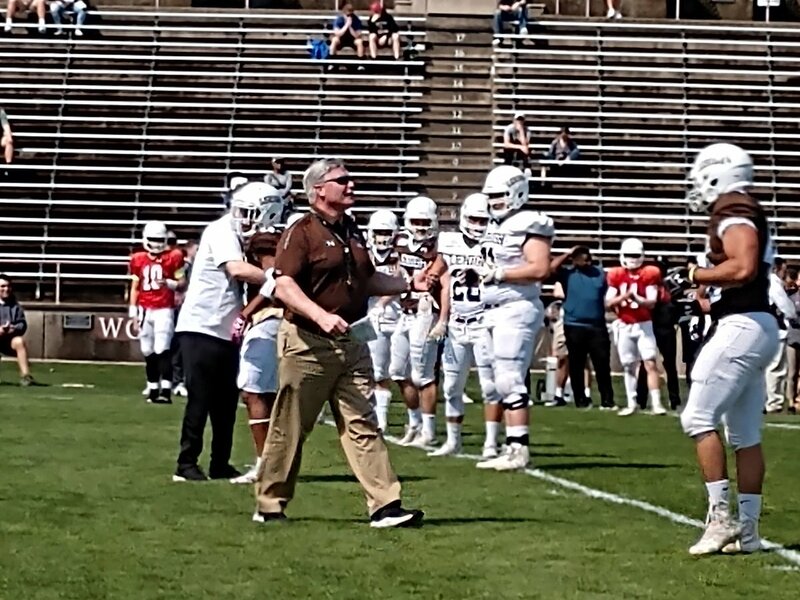 It was fitting, as head coach Tom Gilmore’s first spring game as Lehigh football head coach, that the perspective on the regular game was different, as the former Holy Cross head football coach made some changes to the spring game that were a new take on Lehigh’s traditional spring game. Though there was no official depth chart for the game – unofficially, everyone is still playing to earn their position, just as Gilmore wants it – three different QBs led the White offense with an equal number of reps. Under a lot of pressure from the defensive line, QB Alex Beesmer connected with a wide-open WR Austin Dambach for a 30 yard touchdown, and QB Addison Shoup connected with WR Dev Bibbens, who stretched to get a touchdown around the pylon – his only reception on the morning. Overall, though, the defense impressed, providing some pretty big pressure on the three quarterbacks. FS Riley O’Neil, DT Juwan Moore and DE Davis Maxie stood out on the afternoon. That included some offensive line vs. defensive line drills, when Maxie had the play of the spring practice.